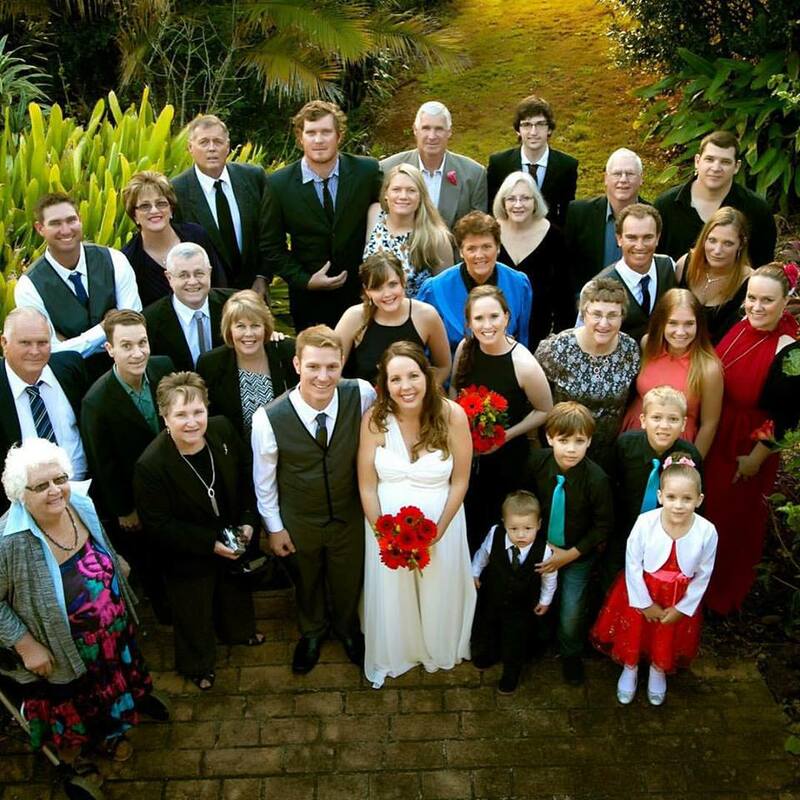 Nirvana at Montville is the idyllic venue for a small exclusive wedding or civil ceremony. The unique aspect of our Montville Holiday Home is that you can have private use of the whole house and gardens with no other guests apart from your own. Your wedding day is one of the most important days of your life- so why compromise? You want something different, something unique and most of all you want it personal. You would also probably like to have your close friends and family all staying together with you. At Nirvana all this is fulfilled – from your first visit to view this beautiful location, you will get a taste for all that is wonderful about Nirvana with a very special and unique ambience as a wedding venue; with up to ten of your close friends and family all staying in the one location. Our beautiful 5 bedroom Holiday Home built on a 3 acre property with landscaped gardens to relax in, is the perfect place to spend your wedding weekend with family and friends. Nirvana offers perfect accommodation for large groups and comfortably sleeps 10 guests in 5 independent bedrooms. The bedrooms have superb views of the valley, Kondalilla National Park and the surrounding countryside. The separate and private Master bedroom with en-suite makes an ideal bridal suite. Patio doors lead out onto a large covered deck ideal for a drinks reception with stunning valley views. Our holiday home has a beautiful spacious lounge-bar and dining area for the wedding party to unwind, relax and celebrate your special day with you. We have a fully-equipped timber and granite gourmet kitchen fitted with European appliances. The living area has a digital TV with DVD player and hi-fi. Wi-Fi connectivity and a fixed line telephone are available for guests’ use. For full details of the features and facilities at Nirvana, please visit our Facilities page. Nirvana at Montville is the ultimate romantic venue for your intimate wedding ceremony. 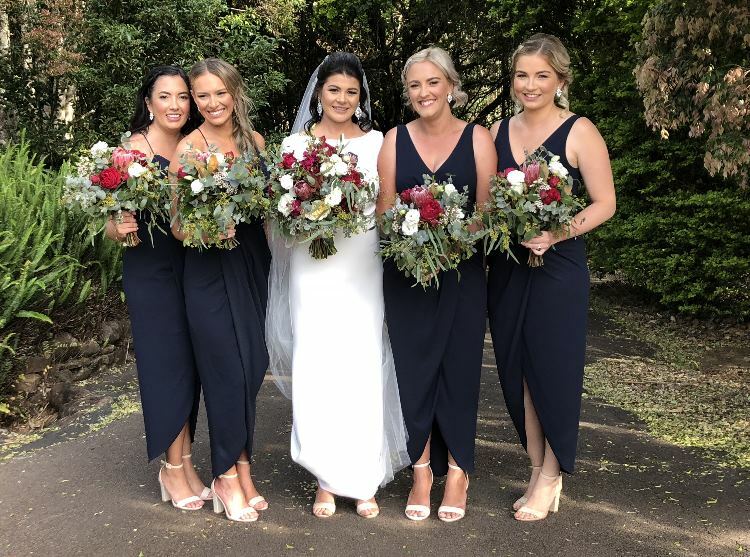 Situated close to the Kondalilla Falls and National Park in lush gardens with a dramatic valley as a backdrop, this is a truly stunning location ensuring a memorable day for all, especially the Bride and Groom. What could be more romantic than exchanging your vows underneath a Sunshine Coast Hinterland sky and surrounded by scented garden blossoms. Your wedding day will be an unforgettable halcyon day full of joy and romance. The landscaped gardens at Nirvana are a perfect location for your special photographs. Take exclusive use of the whole house for the weekend (or longer) as your own; you can even bring your own caterer, drinks, entertainment, decorations, marquee and ideas to make your special day exactly what you want. Please contact the owners to discuss your requirements and to book a viewing to see how the venue could work for you.